This stunning coastal area features plenty of places to eat and drink, a lovely little beach and a spot popular with snorkelers. Check out the old emery loading pier and the wagons still hanging in the air, although the mine has been defunct for more than 30 years. The beach area has kept its traditional character. 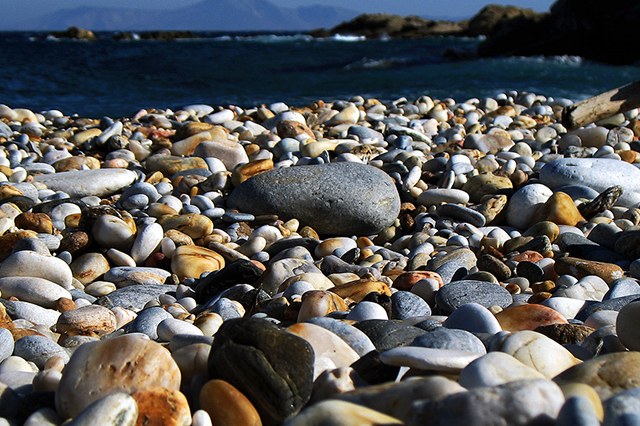 Moutsouna is a small fishing village on the eastern coast of the island. 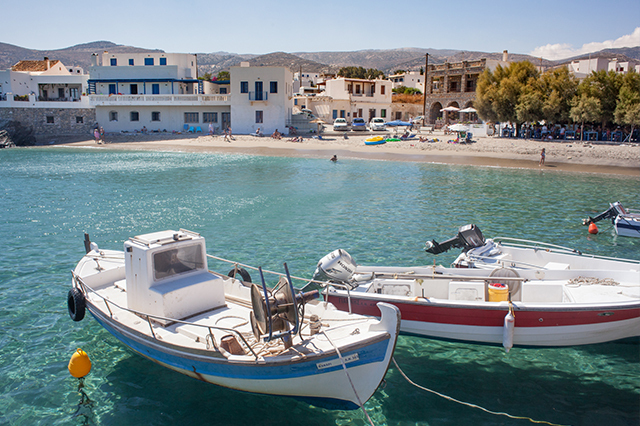 At the small port of Moutsouna, many fishing boats moor in summer and give a picturesque atmosphere. 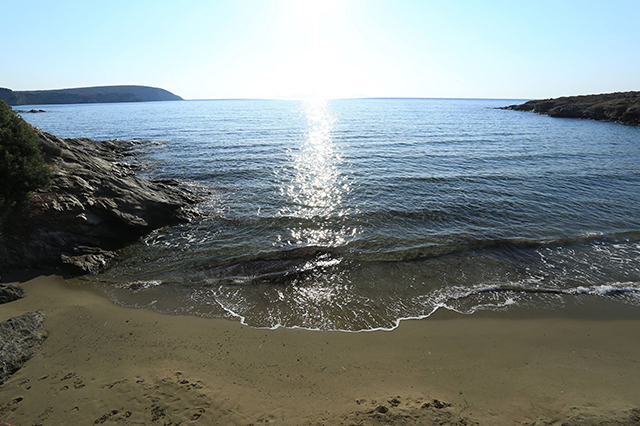 Psili Ammos Beach - A nice beach with sand dunes with crystal clear, deep and calm waters, Psili Ammos is located 6 klm south from Agerino Studios. 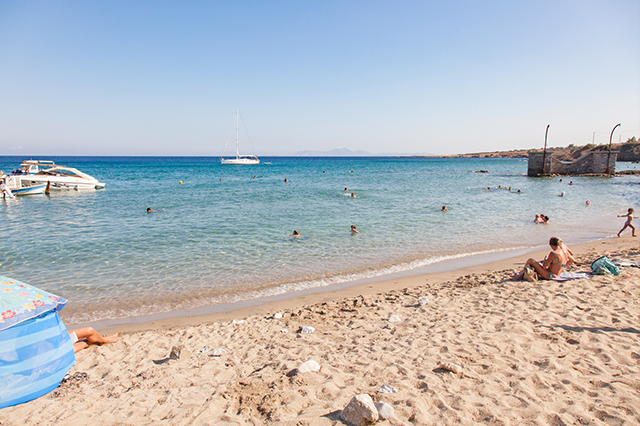 Panormos Bay - A nice beach with palm trees, well protected from south wind, just like a big private swimming pool. Ideal for families with children. 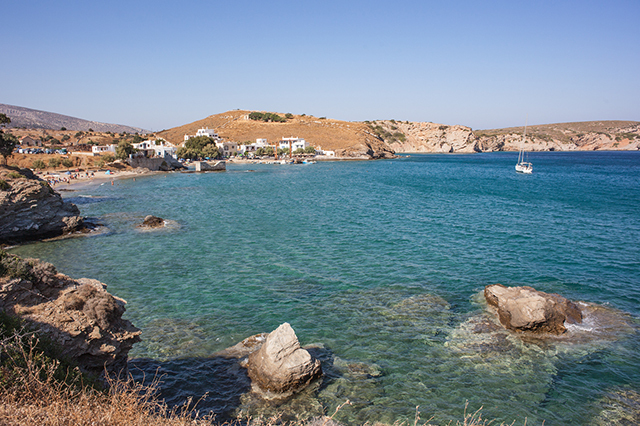 There is a small fishing boat which makes tours to caves and secret beaches on the east side of Naxos. a well kept secret now revealed ! 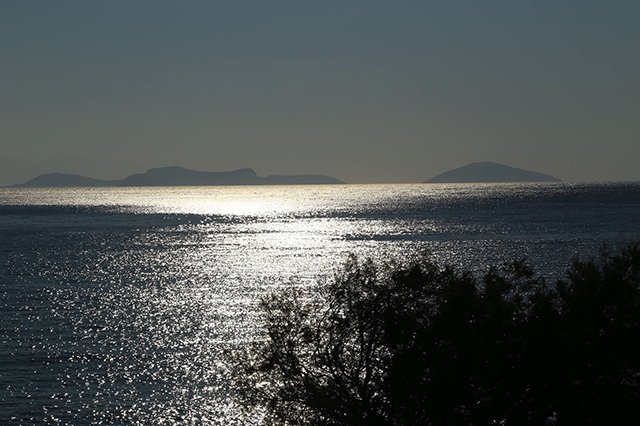 Moutsouna is located at the eastern side of Naxos and it is the only natural port of the island, used mainly by the settlement of Apiranthos for exporting emery mined from the around areas. 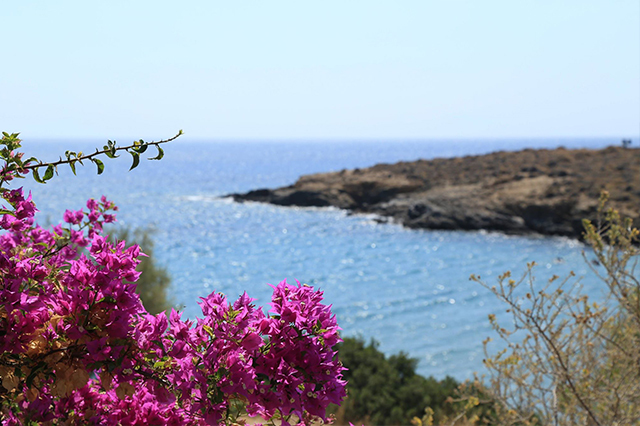 On your way from Apiranthos to Moutsouna you will see the old rail "air way", through which emery was transported from the mines to port's ladder in order to be loaded on the boats. 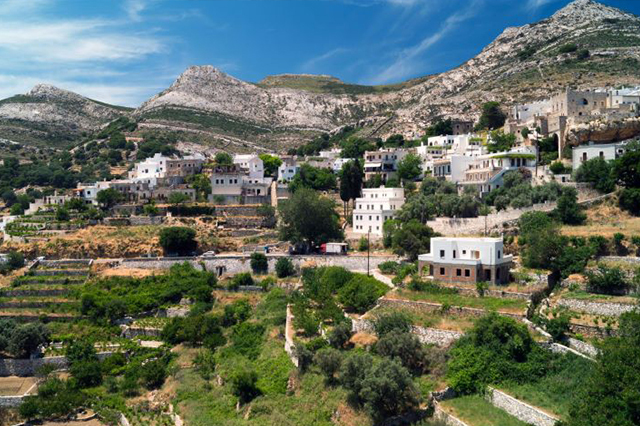 Moutsouna is a traditional fishing village with well developed infrastructure: small fish restaurants and small accommodation units that provide the visitor with anything he may need. 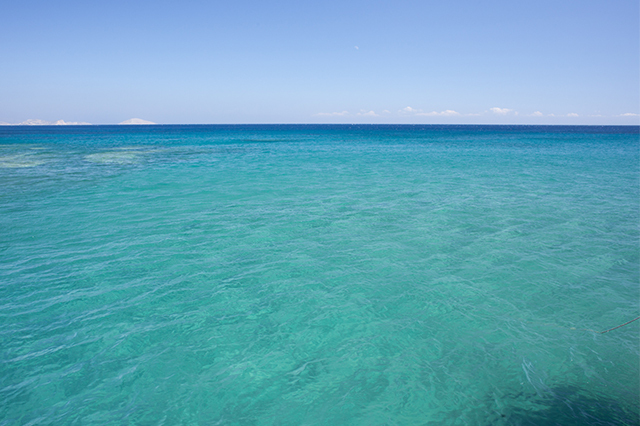 The small separate coves offer a sense of privacy while gazing the beautiful east side of the island. “. 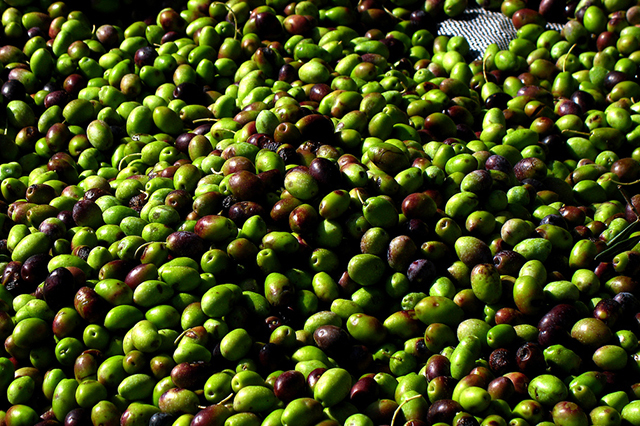 Agerino is located in the eastern part of Naxos Island, in Moutsouna Area. 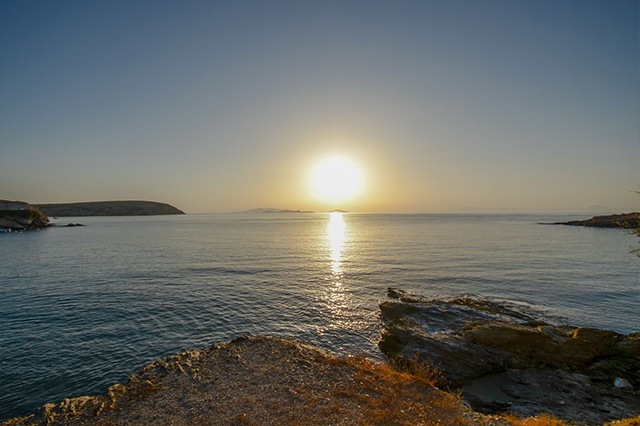 Apeiranthos is located 26 kilometers from Naxos town and 11 kilometers from Moutsouna Beach. 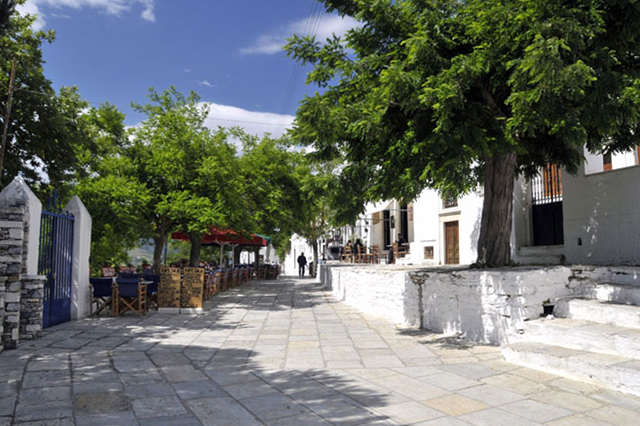 The village is built on the slopes of Mount Fanari, with respect to the cycladic architecture. 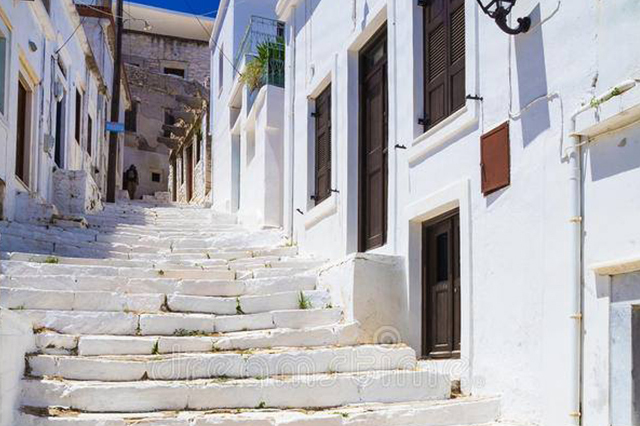 Apeiranthos is also called "the marble village" since all alleys are paved with marble stones. In Apeiranthos you may enjoy traditional Naxian food, such us "rosto", "gardoubakia", "Naxian Sausages", "Zamboni", and local Naxian meet. 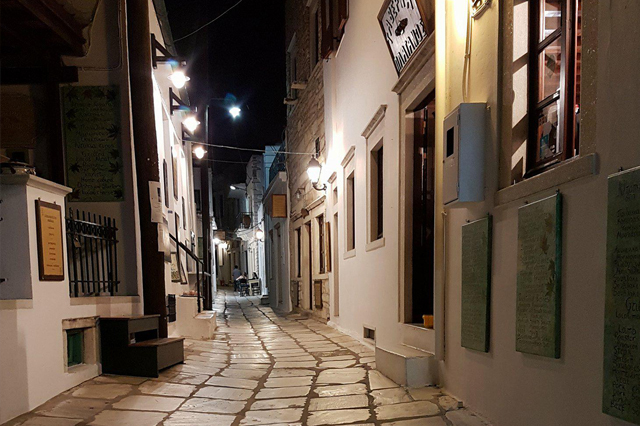 a must visit on Naxos Island ! 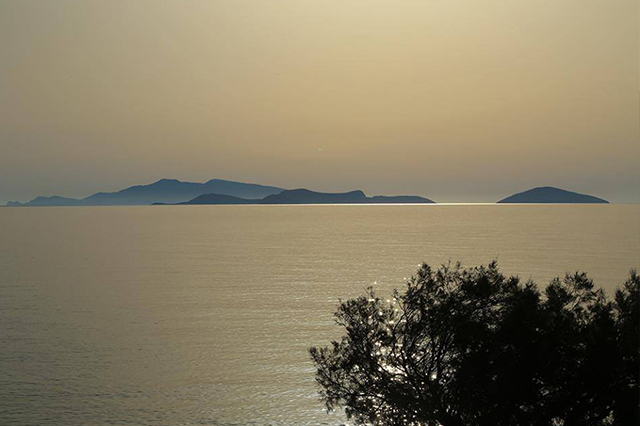 Apeiranthos is built in an amphitheatrical way so as to have a view to the southeastern part of the island. 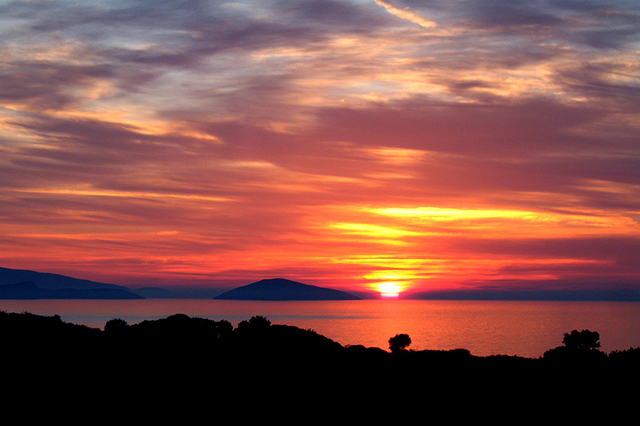 It consists of two big neighbours, “Firoistra” from north and “Katiforo” from south. 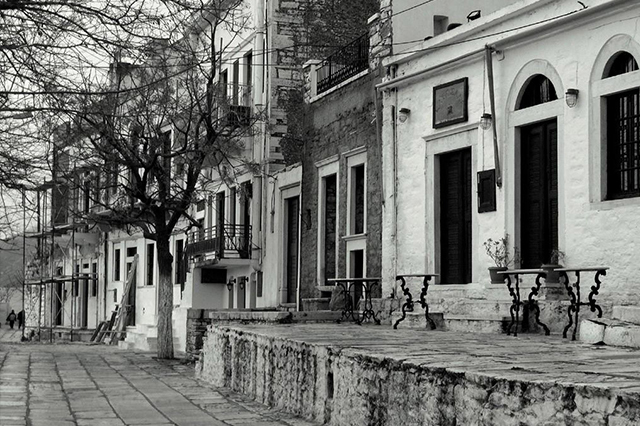 It is 28km far from Chora, the island’s capital. 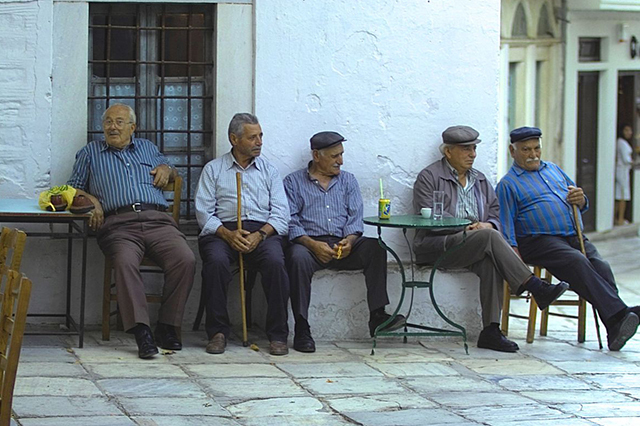 Apeiranthos is about 80km2 long and it has about 1100 permanent residents (census of 2001). The residents mainly deal with livestock farming, construction industry, trade and tourism and in a much smaller extent with agriculture, manufacturing and other home handicraft activities. 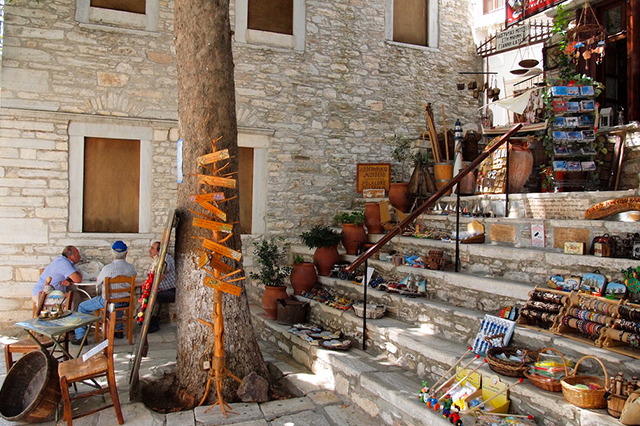 Besides, they are famous for their mastery of the textile art, poetry and music. Emery used to be the basic source of wealth for the village during the rule of Franks and the Ottoman rule, as well. 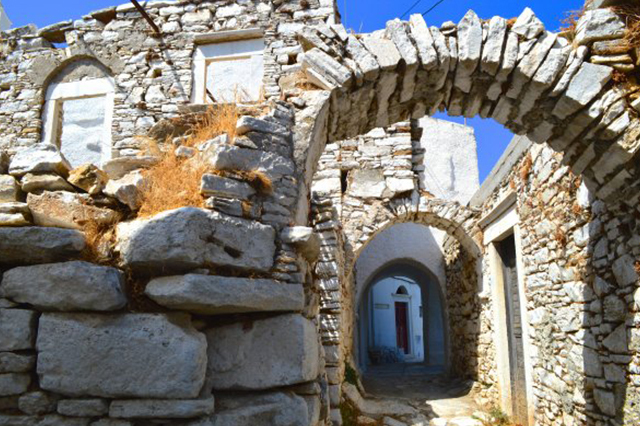 The prosperity of that period is verified by the construction of the big village church, Panagia Apeirathitissa. 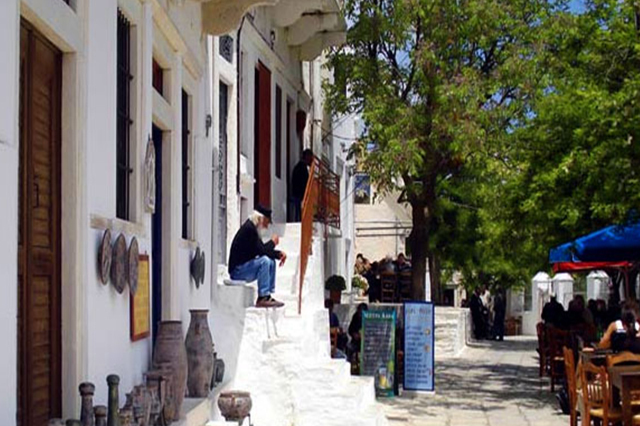 Another evidence of the village’s development is the existence of many priests, which indicates that even since the 17th century and mainly the 18th and 19th centuries the village and Naxos in general had actually their own local government with the local Orthodox Church being in charge.